Whether you own a small size or mid-size business or what products and services you offer – customers are the most valuable asset for any organization. Customers give the company a sense of purpose and direction. To improve the relationship with your existing customers, find new clients and win back former customers, there needs to be a system. Improve Your Customer Relations – By implementing a CRM system, it becomes easier for your sales, marketing and customer support teams to service, market, and sell your products to your customers in a systematic way. Increase Your Revenue – You will witness a steady increase in revenues of your company with the use of a CRM strategy. The CRM software ensures that your product and services reach your newly targeted audience along with those who have already purchased your product thus leading to increased revenue. Optimize Your Marketing – The CRM lets you optimize your marketing resources efficiently. It helps you understand the needs and behavior of the customer so as to identify the right place to market your product to customers. 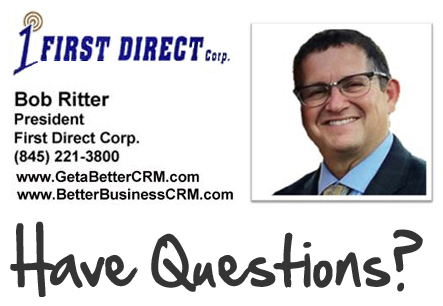 When should you implement a CRM system in your organization? When you get the feeling that you’re losing sales because follow-ups weren’t happening, you should implement CRM system. When you want to improve communication between staff and customer support teams – implement CRM. When you realize you need a centralized location to keep track of customer communication – use a CRM system. Implement CRM when you lose sales & want to acquire more leads – All business leaders have one question in mind – how can I acquire more leads? Lead generation opportunities are directly linked to change in customer behavior. Use your CRM reporting tools such as CRM Reports and Dashboards to know about the age group, purchasing habits and geographic locations of your existing customers. You can also conduct surveys, get the forms filled up and event registrations to collect important data from customers. Use social networks to get connected to your client directly. You also have the option to carry out surveys on social media platforms and keep the record of the data received into your CRM system. CRM system’s email marketing tools help you deliver right emails at the right time. CRM system will help you keep track of every stage of the sales process, schedule reminders and will ensure that you respond to your leads quickly. Implement CRM when you want to enhance marketing processes – When sales and marketing are aligned properly, they will drive high customer retention along with increased sales. A CRM system helps sales managers to generate contact records and focused tracking reports. It can also help you track what marketing or sales tactics are the most effective ones. When a CRM software is shared, both marketing and sales team can access all the lead’s contact information. With sales and marketing teams collaborating together, it becomes easier for them to define the lead generation and sales and marketing strategies. The automation benefits of CRM software allows both marketing and sales team to see the same picture of each visitor, prospect, marketing or sales qualified lead. CRM also increases the lead conversion rates thereby helping your team to close more deals. Implement CRM when you want better campaign results – Today’s customer likes to avail any and every offer that springs out from any corner. With the advancement in technology and widespread social media platforms, customers have become tech savvy and tricky to handle. With CRM, marketers can stay at the top of the game and outrank their competitors. CRM software helps marketers to better understand consumer behavior and preferences and target the most profitable customers. In case of B2B email marketing, the CRM helps you segment your subscriber base which in turn helps you grow revenue. CRM solutions enable you to focus more on the customers instead of the product. Businesses across the world have realized the importance of CRM. In the present scenario, almost every company uses CRM but somehow they do not explore or use this tool to its full potential. But, First Direct Corporation, Zoho Authorized Partner, can help you with the effective implementation of Zoho CRM that drives amazing results. At First Direct Corporation, we have implemented Zoho CRM for several businesses worldwide. Our expertise and years of experience helps us to decrease the cost and time of CRM implementation. We provide Zoho CRM implementation services at a very affordable cost. Our team is highly skilled in implementing Zoho and its functionalities in your business system as per the needs and requirements. 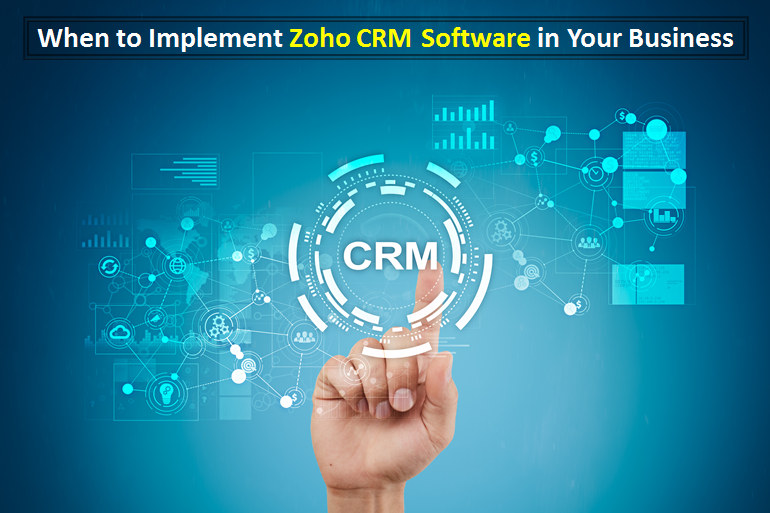 Zoho CRM is considered as one of the cost effective CRM programs for small, mid-size and large businesses. It helps in streamlining your organization-wide sales, marketing, inventory management and customer support from a single platform. It offers all of the key functionalities of leading customer management applications at a reasonable price, without any obligation to enter into a long-term contract. You can cancel your contract any time you want. Our Zoho experts can help you achieve better results in less time. Get in touch with our experts today by giving us a call @ (845) 221-3800.